Please note that applying for an Australian visa even some of the most carefully compiled applications can be rejected for seemingly the slightest of reasons. With a thorough knowledge of Australian migration legislation and constant awareness of legislative amendments as they occur, you can be sure that when you entrust the visa application to us, we will present the facts about you in the most favourable manner. Submitting a complete application is likely to speed up the process of migration as it helps avoid potential delays. If you decide to use our services, we will make sure that your application is to the best possible standard in every way when it is lodged with the Department of migration and Citizenship. 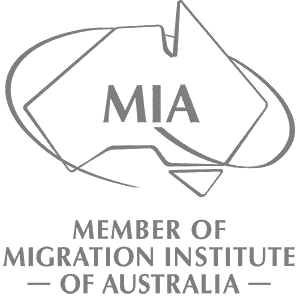 All migration agents operating in Australia must be registered with the Migration Agents Registration Authority (MARA). To be registered, an agent must be able to demonstrate a sound knowledge of migration policy and procedure. An agent must practice in accordance with a Code of Conduct, which is endorsed by the Australian Government and has been incorporated into migration law in Australia. As such, you can be sure that your visa application is in reliable hands when entrusting the process to us. Please note that fee estimates on this website are for professional services, and do not include government fees and charges. If you would like an estimate of government fees payable for your visa, please Contact Us for more information. All fees are accurate estimates, but the client will be responsible for additional costs such as interpreters and translations, legal,accountants fees, search fees, the cost of expert consultants, medical reports, courier and postage fees. All costs are inclusive of GST. Once you purchase a service from us, we will send you a detailed letter outlining your instructions, information about the regulation of migration agents in Australia and a letter of agreement. We will provide you with regular updates throughout the migration process regarding the status of your application. By commencing as a client of Fiona Carre, you are undertaking to provide all information and materials to enable the work to be carried out, keep us updated regarding contact details and advise if absence is anticipated. It is very important that a client is contactable throughout the visa application process as we will require your instructions at times on how to proceed. In the event of the agreement being terminated in accordance with the Client Agreement, the Migration Agent will be entitled to be paid all proper disbursements and out of pocket expenses incurred on behalf of the client as well as a pro-rata proportion of the agreed professional fees based on the time devoted to the case up to the time of termination. Fiona Carre can offer no guarantees regarding the outcome of your application, as the final decision on your visa is made by the Department of migration and Citizenship. However, we promise to be candid with you at all stages of the process regarding your eligibility, and will do everything we can to maximise your chances of success in obtaining an Australian visa. We know how important this decision is.